Are you among those people that complain about expensive Data? You are so lucky reading this post because no more expensive data or running out of data. A lots of complain have been on social media platforms and web pages as regarding the expensive MTN data and some other network providers but you have make the right choice being on this platform. 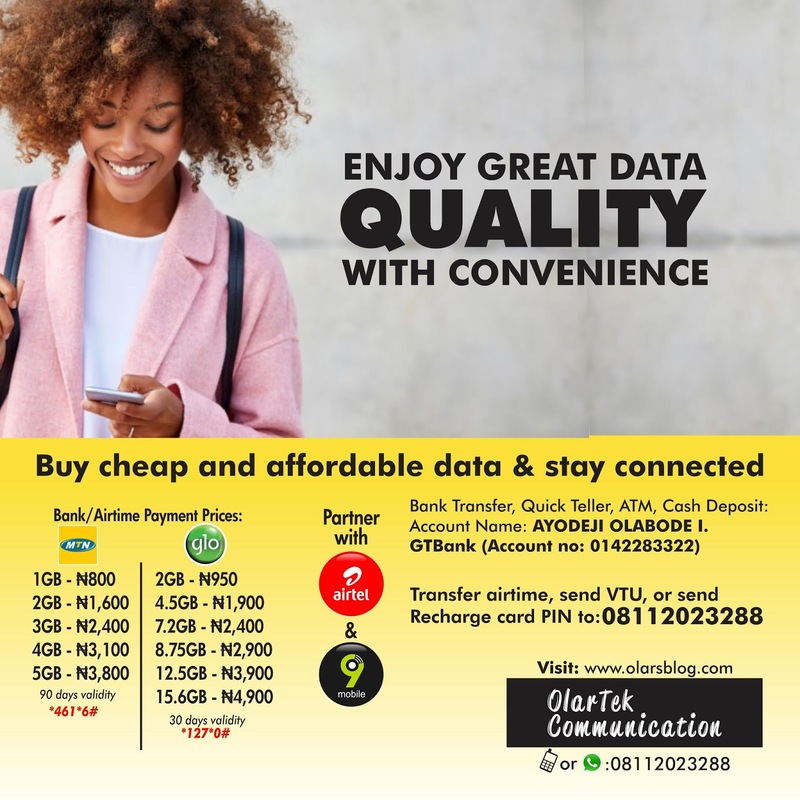 We look into how we can help people to subsidize the expensive data offer by different providers and we've been able to succeed on that, obviously we have four strong network providers in Nigeria which are MTN, Glo, 9Mobile and Airtel, averagely some are doing great as regarding their data plan list while some are not. Early this year almost all network providers releases data price list which was posted here starting from MTN, Glo, 9Mobile and Airtel but Glo was noticed to have slashed their data volume into two at the normal price which hasn't speak well of them as GrandMaster of Data and up till now nothing have been done even at their weak network service. Subsequently MTN network have been good but their data is too expensive (N1,200 for 1.5GB) and if you like to be connected 24/7 then 1.5GB is nothing. Airtel and 9Mobile are still trying even though their network are restricted to some location but if you have coverage then you'll enjoy good internet connection speed. Base on all the complains and mind to help our customers, we've make everything easy and cheaper for you. 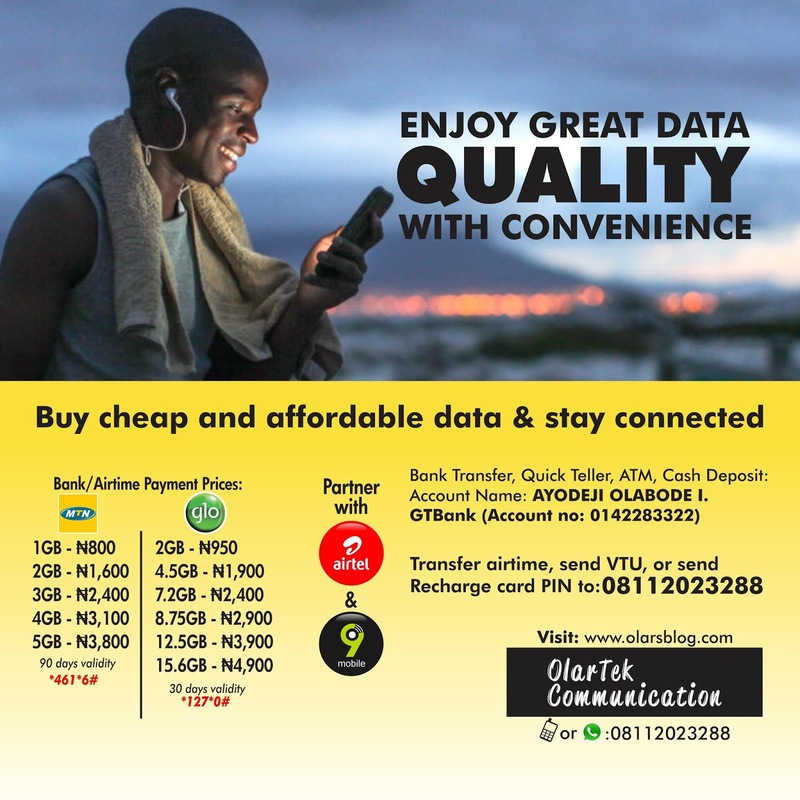 OlarTek Communication has partnered with MTN, Glo, Airtel and 9Mobile to sell at cheaper and affordable price for as low as N800, I think with that everyone will be able to afford it and stay connected. Why does buying from us different? We partner with the four strong network provider in Nigeria (MTN, Glo, Airtel and 9Mobile). We recieve both bank and airtime payemnt. We give out at control price. We also turn Airtime to Cash or Data, if you have Airtime / Credit then you can turn it to cool cash from us (money) and you get alert immediately. How to get started start with us? We're here to render maximum assistance service, kindly join us on Whatsapp via here for more enquiry or request.